Capture and geological storage of CO2 provide a way to avoid emitting CO2 into the atmosphere, by capturing CO2 from major stationary sources (Chapter 3), transporting it usually by pipeline (Chapter 4) and injecting it into suitable deep rock formations. This chapter explores the nature of geological storage and considers its potential as a mitigation option. The subsurface is the Earth's largest carbon reservoir, where the vast majority of the world's carbon is held in coals, oil, gas organic-rich shales and carbonate rocks. Geological storage of CO2 has been a natural process in the Earth's upper crust for hundreds of millions of years. Carbon dioxide derived from biological activity, igneous activity and chemical reactions between rocks and fluids accumulates in the natural subsurface environment as carbonate minerals, in solution or in a gaseous or supercritical form, either as a gas mixture or as pure CO2. The engineered injection of CO2 into subsurface geological formations was first undertaken in Texas, USA, in the early 1970s, as part of enhanced oil recovery (EOR) projects and has been ongoing there and at many other locations ever since. Geological storage of anthropogenic CO2 as a greenhouse gas mitigation option was first proposed in the 1970s, but little research was done until the early 1990s, when the idea gained credibility through the work of individuals and research groups (Marchetti, 1977; Baes et at, 1980; Kaarstad, 1992; Koide et at, 1992; van der Meer, 1992; Gunter et at., 1993; Holloway and Savage, 1993; Bachu et at., 1994; Korbol and Kaddour, 1994). The subsurface disposal of acid gas (a by-product of petroleum production with a CO2 content of up to 98%) in the Alberta Basin of Canada and in the United States provides additional useful experience. In 1996, the world's first large-scale storage project was initiated by Statoil and its partners at the Sleipner Gas Field in the North Sea. By the late 1990s, a number of publicly and privately funded research programmes were under way in the United States, Canada, Japan, Europe and Australia. Throughout this time, though less publicly, a number of oil companies became increasingly interested in geological storage as a mitigation option, particularly for gas fields with a high natural CO2 content such as Natuna in Indonesia, In Salah in Algeria and Gorgon in Australia. More recently, coal mining companies and electricity-generation companies have started to investigate geological storage as a mitigation option of relevance to their industry. 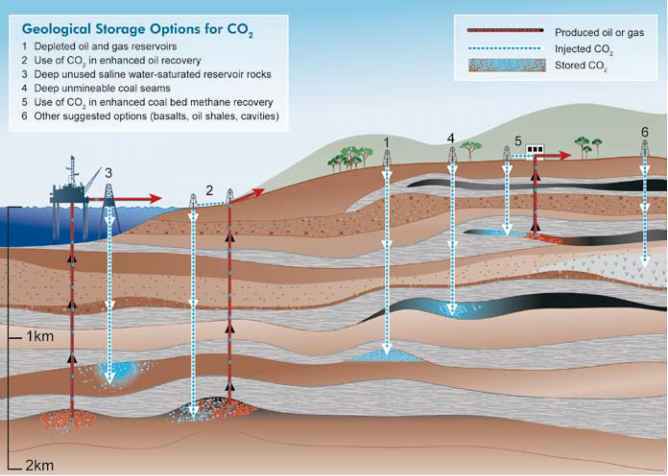 Figure 5.3 Options for storing CO2 in deep underground geological formations (after Cook, 1999). grown from a concept of limited interest to one that is quite widely regarded as a potentially important mitigation option (Figure 5.1). There are several reasons for this. First, as research has progressed and as demonstration and commercial projects have been successfully undertaken, the level of confidence in the technology has increased. Second, there is consensus that a broad portfolio of mitigation options is needed. Third, geological storage (in conjunction with CO2 capture) could help to make deep cuts to atmospheric CO2 emissions. However, if that potential is to be realized, the technique must be safe, environmentally sustainable, cost-effective and capable of being broadly applied. This chapter explores these issues. To geologically store CO2, it must first be compressed, usually to a dense fluid state known as 'supercritical' (see Glossary). Depending on the rate that temperature increases with depth (the geothermal gradient), the density of CO2 will increase with depth, until at about 800 m or greater, the injected CO2 will be in a dense supercritical state (Figure 5.2). Geological storage of CO2 can be undertaken in a variety of geological settings in sedimentary basins. Within these basins, oil fields, depleted gas fields, deep coal seams and saline formations are all possible storage formations (Figure 5.3). Subsurface geological storage is possible both onshore and offshore, with offshore sites accessed through pipelines from the shore or from offshore platforms. The continental shelf and some adjacent deep-marine sedimentary basins are potential offshore storage sites, but the majority of sediments of the abyssal deep ocean floor are too thin and impermeable to be suitable for geological storage (Cook and Carleton, 2000). In addition to storage in sedimentary formations, some consideration has been given to storage in caverns, basalt and organic-rich shales (Section 5.3.5). Fluids have been injected on a massive scale into the deep subsurface for many years to dispose of unwanted chemicals, pollutants or by-products of petroleum production, to enhance the production of oil and gas or to recharge depleted formations (Wilson et al., 2003). The principles involved in such activities are well established and in most countries there are regulations governing these activities. Natural gas has also been injected and stored in the subsurface on a large scale in many parts of the world for many years. Injection of CO2 to date has been done at a relatively small scale, but if it were to be used to significantly decrease emissions from existing stationary sources, then the injection rates would have to be at a scale similar to other injection operations under way at present. But what is the world's geological storage capacity and does it occur where we need it? These questions were first raised in Chapter 2, but Section 5.3.8 of this chapter considers geographical matching of CO2 sources to geological storage sites in detail. Not all sedimentary basins are suitable for CO2 storage; some are too shallow and others are dominated by rocks with low permeability or poor confining characteristics. Basins suitable for CO2 storage have characteristics such as thick accumulations of sediments, permeable rock formations saturated with saline water (saline formations), extensive covers of low porosity rocks (acting as seals) and structural simplicity. While many basins show such features, many others do not. Is there likely to be sufficient storage capacity to meet the world's needs in the years ahead? To consider this issue, it is useful to draw parallels with the terms 'resources' and 'reserves' used for mineral deposits (McKelvey, 1972). Deposits of minerals or fossil fuels are often cited with very large resource figures, but the 'proven' reserve is only some fraction of the resource. The resource figures are based on the selling price of the commodity, the cost of exploiting the commodity, the availability of appropriate technologies, proof that the commodity exists and whether the environmental or social impact of exploiting the commodity is acceptable to the community. Similarly, to turn technical geological storage capacity into economical storage capacity, the storage project must be economically viable, technically feasible, safe, environmentally and socially sustainable and acceptable to the community. Given these constraints, it is inevitable that the storage capacity that will actually be used will be significantly less than the technical potential. Section 5.3 explores this issue. It is likely that usable storage capacity will exist in many areas where people live and where CO2 is generated from large stationary sources. This geographical congruence of storage-need and storage-capacity should not come as a surprise, because much of the world's population is concentrated in regions underlain by sedimentary basins (Gunter et al, 2004). It is also important to know how securely and for how long stored CO2 will be retained - for decades, centuries, millennia or for geological time? To assure public safety, storage sites must be designed and operated to minimize the possibility of leakage. 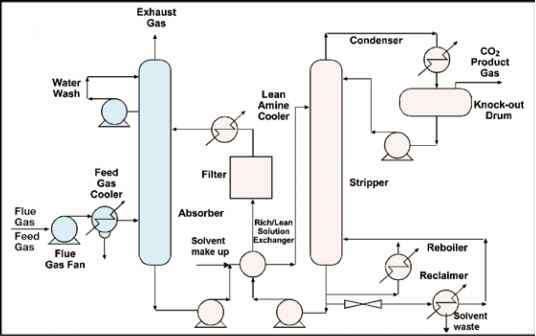 Consequently, potential leakage pathways must be identified and procedures must be established, to set appropriate design and operational standards as well as monitoring, measurement and verification requirements. Sections 5.4, 5.6 and 5.7 consider these issues. In this chapter, we primarily consider storage of pure or nearly pure, CO2. 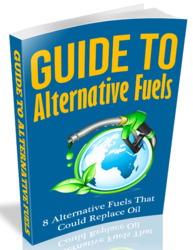 It has been suggested that it may be economically favourable to co-store CO2 along with H2S, SO2 or NO2. Since only a few scientific studies have evaluated the impacts of these added constituents on storage performance or risks, they are not addressed comprehensively here. Moreover, the limited information gained from practical experience with acid gas injection in Canada is insufficient to assess the impacts of the added components on storage security. Table 5.1 A selection of current and planned geological storage projects.